Colombia is waiting until the last minute to see if ELN Marxist rebels release their remaining hostages before deciding whether or not to restart stalled peace talks, President Ivan Duque said on Friday. 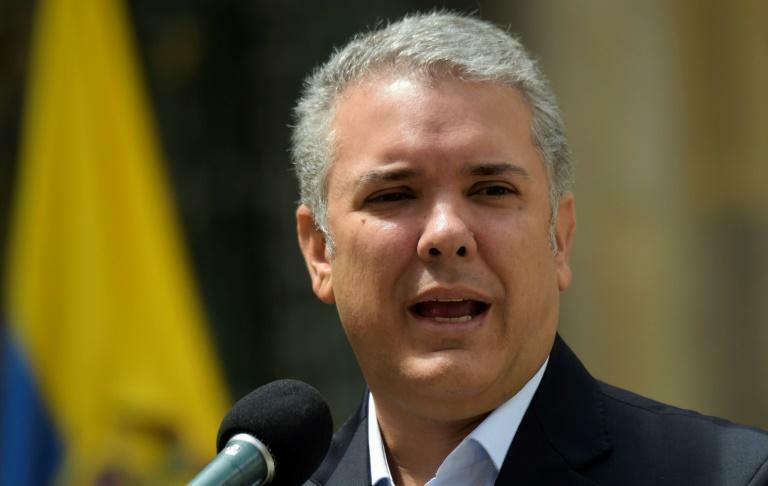 Right-winger Duque gave the ELN a one-month deadline after his inauguration on August 7 to convince him it is serious about laying down arms and reentering civilian life. That cut-off point expires on Friday. "Today, I want us to wait for the liberation of hostages," said Duque in a press conference in which he was expected to announce his final decision. The government estimates that the guerrillas, the last recognized armed rebel group operating in Colombia, are holding at least 17 people. "I want to progress towards demobilization, disarmament and reinsertion of the ELN, but let's not deceive ourselves, we need the total suspension of criminal activities," added Duque. Colombia's ombudsman revealed on Wednesday that three kidnapped soldiers had walked free from ELN captivity. They were amongst nine people, mostly government forces, captured last month. "If these acts of good faith take place, if they liberate the hostages and suspend criminal activities, the government is ready to proceed," said Duque. "But what we can't do is keep validating violence." Duque had previously insisted that the liberation of hostages was a prerequisite to restarting peace talks put on hold a month ago when his predecessor Juan Manuel Santos left office. Santos won the Nobel Peace Prize for signing the historic accord with Marxist FARC rebels in 2016, turning that armed group into a political party after more than 50 years of violent insurrection. Speaking from Cuba, which hosted peace talks, the ELN's chief negotiator Pablo Beltran said his group is prepared to restart the peace process. He told Colombian radio station Kapital Stereo that the ELN wants to release its hostages but said it wouldn't be possible before the end of the government's deadline. "I would say it could happen at the end of this week or beginning of the next one," he said, blaming military operations against his group for the delay.